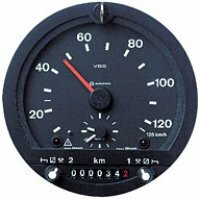 Analogue EC tachograph can be installed in cockpits with 140 mm diameter. This modular tachograph complies with EU directive 3821/85. Also available in a non-EU version (according to 57a of the German StVZO, and for overseas markets). This modular tachograph system complies with EU directive 3821/85. It fits into any standard dashboard, because of the compact DIN ISO radio-slot design. The new generation of tachographs. In conjunction with the intelligent KITAS 2171 speed sensor and the tachograph cards, the DTCO 1381 meets all the requirements of the new directive. System calibration is performed by authorised calibration centres. The DTCO can be linked up with other vehicle systems via CAN. It can also be optionally connected to an analogue speedometer / instrument cluster. From complete starter kits to individual components, Andover Tachograph Centre offers a broad choice of hardware and consumables to support every aspect of digital and analogue tachograph operation. Please contact us for more information and prices. A compact and economical heater. The D2 offers optimised fuel efficiency, a range of operation modes and unsurpassed safety standards.